Hi, how are you? Busy in creating beautiful things? I hope so! Creating beautiful things is what we like, right? it's time to save the wool and it is time to work with cotton. I do not know if you like this color combination ... you like this? Of a flowerpot of pachyveria arose in dozens of shoots that I put into a lot of small flowerpots. 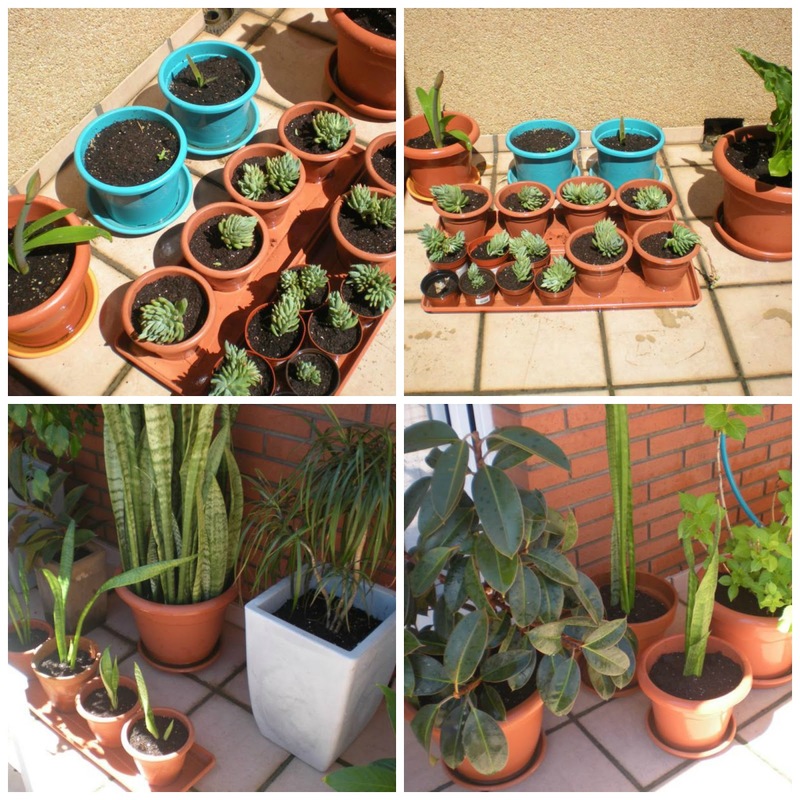 Now my terrace is full of flowerpots of pachyveria. 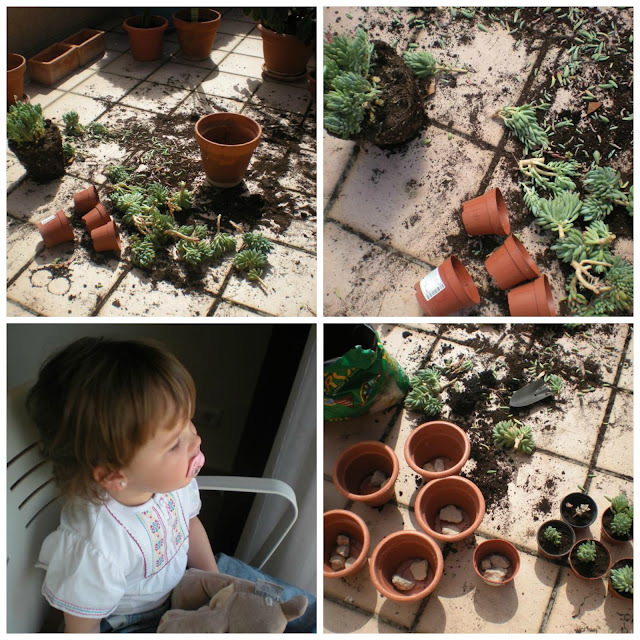 I've given some flower pots of pachyveria and sure throughout the year I give away more. I like giving away plants that I see grow in my terrace! Look how from inside our home my Daughter's eyes follow my every movements. She wants to know at all times what is happening, whether in the kitchen, the terrace, the bathroom ... she wants to see it! 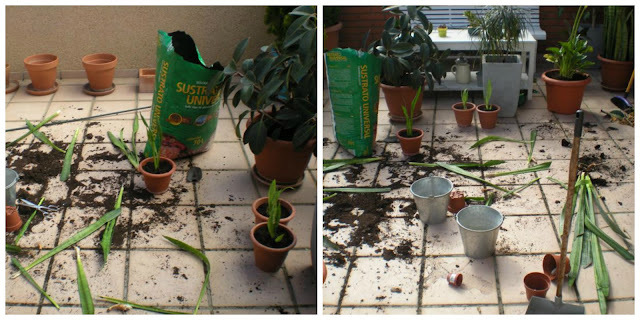 In a plant of Sansevieria also surfaced many shoots that I put into other flowerpots. 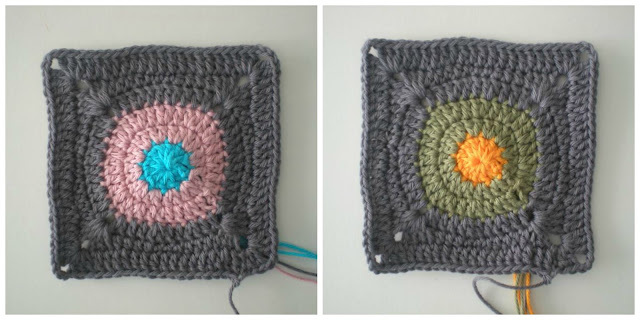 Your squares are just lovely and so is your daughter! Gaia. Lepo,volim sivo,sa svakom bojom se lepo kombinuje! Succulents are so fun to grow and so forgiving. yes, the eyes follow every movement and she learns by watching and listening at this age. You are a good mama, she is getting so big and beautiful and calm. I like grey as a colour base!!!! M'encanten aquests quadrats de ganxet Cris!!!! Quina combinació de colors....a més l cotó em torna boja! Veus en canvi les plantes no són el meu fort :( petonets!!!!!! Quins quadritos més preciosos!!!! m'encanteeeeeeeeeeeeeeeeeen!!!!! Les dues combinacions són monissimes!!! Aquests quadrets són una monada!! Tu tampoc pares ehhhh??!! M'estic posant al dia mirant els blogs i has fet un munt de coses! I jo encantada de veure-ho :).